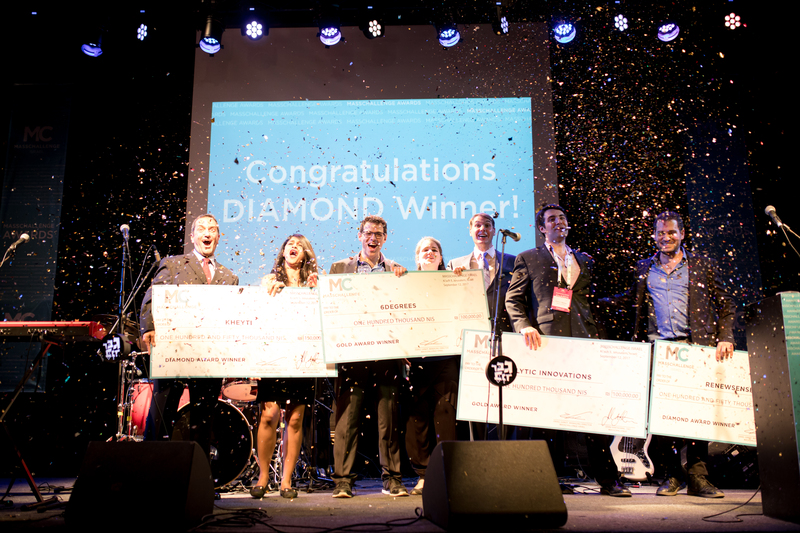 MassChallenge gives out approximately $3M USD in cash prizes to the top startups in each program. Because were not an investment-style program, we use a series of pitch competitions at the end of the accelerator to decide which startups receive the awards. Our cash prizes are no-strings attached (seriously): our only requirement is that you use the money to take your business to the next level. Each year, our startups tell us that the experts and mentors who support them throughout the accelerator are the most valuable part of the MassChallenge program. When accepted into the program, startups choose from about 800 industry experts to build a team of mentors. Staff, Mentor Matching events, and our online dashboard help connect entrepreneurs to the experts that best fit their needs. From working sessions with our industry experts to hundreds of workshops and office hours on topics ranging from securing funding and hiring the right team to industry-specific deep-dives, MassChallenge startups have access to a huge range of resources. We want our entrepreneurs to have the freedom to choose the resources that will help their startup succeed. Staff works directly with our startups to make connections and recommendations based on business needs, but ultimately, it’s up to the entrepreneur to decide what activities will help them the most. Because MassChallenge is a not-for-profit organization, we work with large businesses, governments, foundations, and universities to grow their innovation agendas and transform their industries or ecosystems. Startups in our network have access to our global partner pool, and MassChallenge helps facilitate networking and relationship building opportunities between startups and our top corporate partners. Are you looking to partner with another startup in the same industry, get mentored by another later-stage entrepreneur, or guidance on how to deploy your product in a different marketing? MassChallenge alumni have your back. With nearly 1,900 MassChallenge alumni around the world and across every industry, the MassChallenge network is an extremely valuable and helpful resource for any early-stage startup. MassChallenge also supports startups at different stages of growth through our vertical programs in FinTech and HealthTech. Because these programs happen at a different time of year than our early-stage accelerators, startups can (and have) participated in both opportunities. Applications for the 2019 cohorts of MassChallenge Boston, Rhode Island, Switzerland, and Texas are due March 13, 2019 at 6:00PM CET/12:00PM ET/11:00AM CT. Learn more about our program and apply here.